The Satellite Diner enters the Best Of Hall of Fame this year after racking up 10 years of well-deserved wins. Fans of the diner — and it has earned those by the tableful over the past two decades — will have their own reasons for keeping the Satellite at the very top of the rankings, but founder Colleen Freeman says its unique appeal primarily comes down to one thing: consistency. "People just like the fact that they know the Satellite's here, it's going to be there, and it's going to be the same each time," she says. "You know how it is. You've got that local, hometown favorite place and you don't ever want it to change. Other than improving everywhere we can, we've tried to remain very consistent and offer people that great quality. I like them to know what to expect when they come here." That's not to say the Satellite has been frozen in time. It may have started life as just the diner itself, but within six months of opening, it had already annexed an adjoining retail space. That became the Satellite Lounge, with a more nightlife-style vibe. Healthier dishes have been introduced over time. But the mainstay of its menu is still a "whopping breakfast," hearty burgers and classic sandwiches. "We've added and deleted things over the years, but mostly we just try really hard to give people that great food they expect," Freeman says. "We don't try to get super fancy or really bistro-y. It's just good, down-to-earth diner food." While the Satellite is entering the Best Of Hall of Fame on the strength of its late-night credentials, Freeman is quick to note that the diner is open 21 hours out of every 24, making it an early morning, afternoon and evening hot spot, too. "We're not just all about late night," she says. 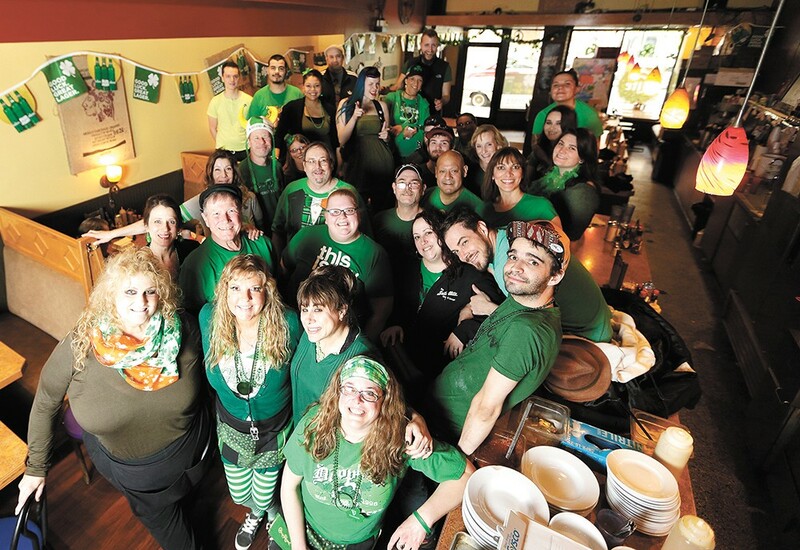 "This place employs 37 amazing people, and every single one of those people work all these different shifts. We're rocking at lunchtime and have great lunch specials. We're super busy before and after events. And then there's your weekend breakfast. It's popping all the time."